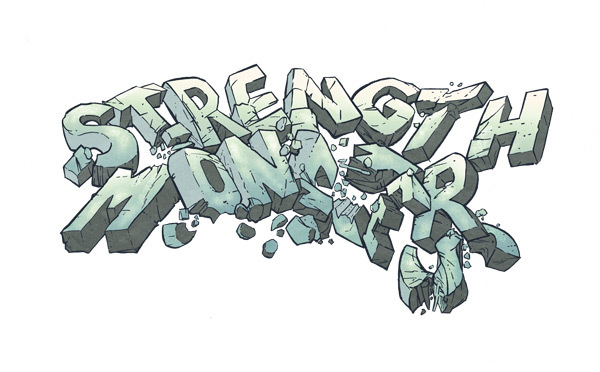 Finally Started on Strength Monsters Book Four. Here’s the First Panel penciled by A.J. Fulcher Written by me. All the rewards from my Kickstarter this past December are finished and everything will be mailed out on Friday! You can check it all out and see what everything looks like in the source link. Source: The Kickstarter is Finished! The Back Board Sketches Are Finished! 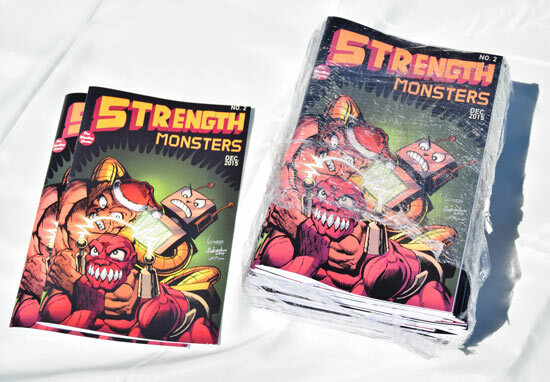 Everyone who supported my last Kickstarter at $75 and higher will get one of these Full Color Strength Monsters Comic Book Backboard Sketches with their Rewards. 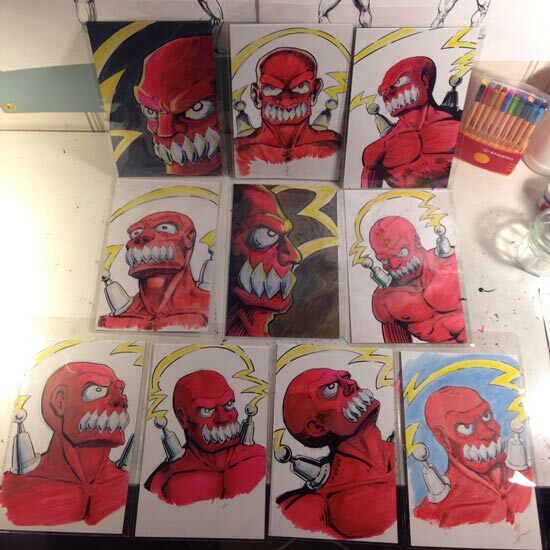 Source: The Back Board Sketches Are Finished! The Pro Wrestling Comic Book Association Stickers I promised to all of my Kickstarter Backers who have pledge $3 or more are now in stock! The stickers are die-cut and came out really nice. When all the rewards ship I will be dropping several stickers into everyones package! In the meantime here is a goofy video I made to introduce these Kickstarter funded stickers to the world! Source: Cover Title Lettering Colored!